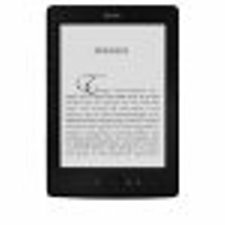 You must be wondering how to read kindle books online without a kindle. Yes, you can purchase and download an ebook online even without a kindle, and read it just like any other file online. Do you want to know how to do it? Amazon has made the kindle ebooks in such a way that they can be read on as many Apps as possible such as smart phones, computers and tablets. Interested to learn more now? To know about this, go to your amazon home page, and click on "Books" under Shop by Department the left side menu and click on "Kindle". Under this you can see "Kindle Apps & Resources" and below this, you will find "Free Kindle Reading Apps".Choose your preferred apps for reading. While reading a kindle ebook on your PC you have the advantage of changing the font size, background colour, brightness, and number of words per line etc. Though I own a kindle I prefer sometimes to read it on the computer. Do you want to buy a kindle? It is now available in India too.